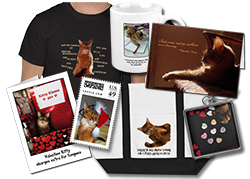 You are here: Home / Shop / Cat Stuff for Humans / Cat Calendars / 2016 Calendar Giveaway! Or my 2016 Outtake Calendar from Zazzle.com! 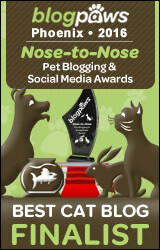 To enter, all you have to do is leave a comment on this blog post and say you did on the Rafflecopter widget below! You also need to tell me which calendar you want. Once you do that, you have other options for more entries. The giveaway ends Tuesday night, November 24. Good luck! Beautiful calendars!! I love Somalis! Would love to have your calendars hanging on my wall. you are such an adorable kitty. Summer, our Mom would love either calendar. We would like the outtakes one–and cats rule! Ohhhh how exciting. Thanks for hosting a giveaway! Both are nice, but I will be picking the Outtake. I would absolutely love, love, love winning a calendar with Summer in it. 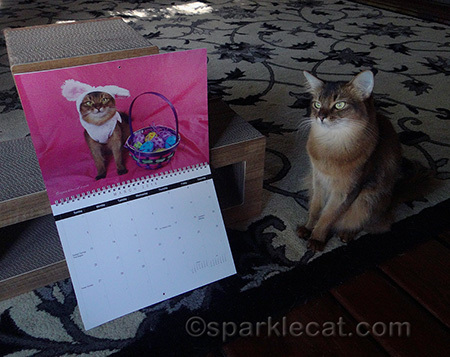 I’d be happy with either one of the calendars but think I’d like the outtakes one the bestâ€¦.and one can never have enough kitty calendarsâ€¦right? Would love a regular calendar! Mum is determined to buy a calendar this year even if she DOES send it to a friend in the USA as a surprise. Looks like the outtakes calendar is adorable! I would love this calander. I love Summer. I love you summer, this is awesome. Love it, love it, love it! Would love the outtakes! The outtakes would inspire the purrbabies that share my human, to be the best they can be, everything considered. It must be tough being a supermodel Summer. I think I would enjoy the outtakes. We would love to win one of your calendars, Summer! We would love to win your outtake calendar. Your outtakes are the funniest!!! We’d love the regular calendar! Thanks fur the chance to win one! We are looking forward to winning the outtake calendar LOL! we look forward to getting your calendar, Summer, even if we aren’t chosen in the draw. the idea of the outtake version is pawsome! we want to get one of each version regardless 🙂 Thank you for the drawing, too! 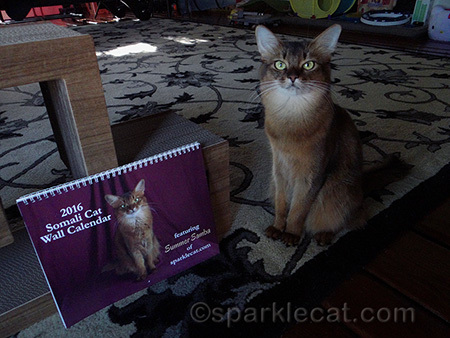 Rosie says we need the 2016 Outtakes Calendar so I must go along with her suggestion! Summer, Darling, we love all your pictures–specially the outtakes. But we like looking at your gorgeous pictures too, especially now that we’ve seen you in furson, so to speak. How to choose? how to choose? Well, maybe we’ll buy one and win the other??? 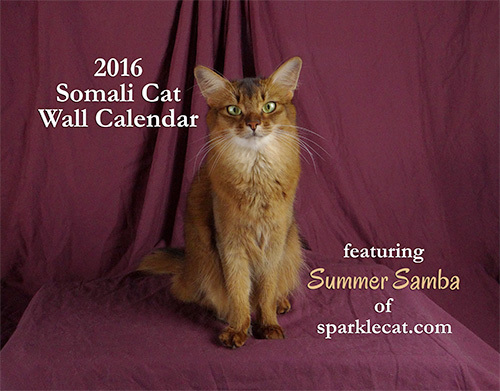 Summer, you are the purrrRRRrrrfect cat to show off for the calendar. Great Photos. Tough choice, but the outtakes calendar wins! I’d love to win a copy of the regular calendar, Summer! You are such a beautiful kitty. I couldnâ€™t decide. I want the outtakes but if we give it as a gift, we want the regular. Yeah, the peeps are that generous. Theyâ€™d deprive me of having my furrendâ€™s calendar to give it to someone else. I love them both, but think I’d like the regular one. What a difficult decision, Summer! But I think the outtakes would be so much fun! Summer you are too gorgeous for words. I’d like to win the outtakes calendar. It looks like so much fun. These look great! You’re so photogenic. Norville would love either calendar featuring the beautiful Summer. His mom would like the outtake one.